Pictured Bouquet with Blue Roses, Champagne Lisianthus, Some tall Gladioli and some mixed cream and Green Carnations. 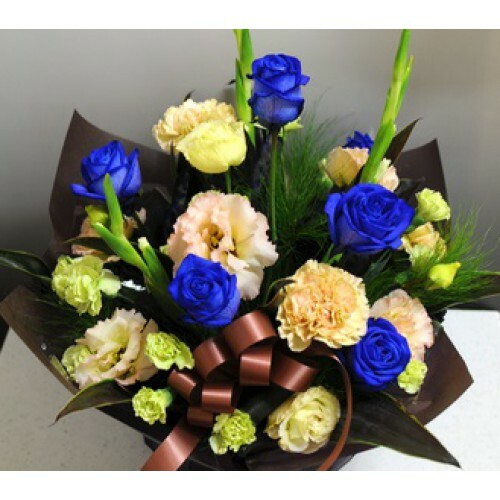 A seasonal Bouquet will be delivered with a selection of mixed flowers and Beautiful Blue Roses. Different sizes available, Very Popular item we recommend you send this item as it gives you a nice selection in the vase and looks great value for money.